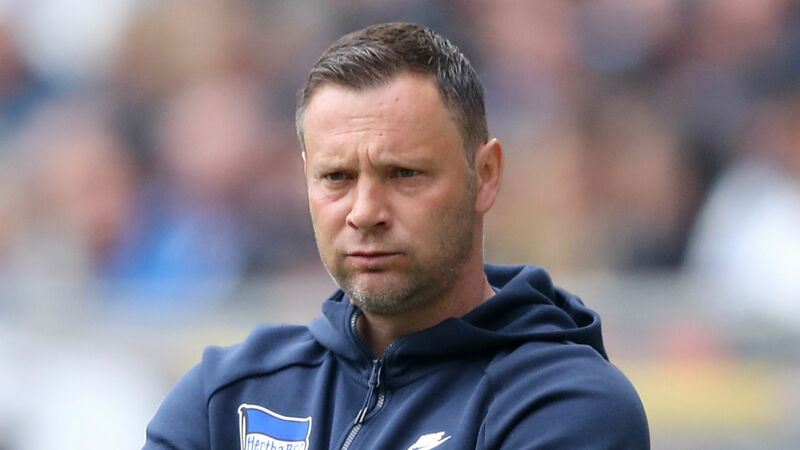 Hertha Berlin have announced head coach Pal Dardai will leave the club at the end of the season. The 43-year-old, who is the club's record appearance maker, took over the reins in February 2015 on an interim basis and his appointment was made permanent three months later. He guided the club to seventh- and sixth-place finishes during his first two full Bundesliga seasons in charge but could only steer them to 10th last term. A run of five straight defeats this campaign has left them languishing in 11th, 12 points adrift of the European qualification places. "My years in charge of Hertha Berlin have been very intense and eventful. I'm thankful for this chance and I'm proud of what we've achieved during this time," Dardai said in a statement on the club's website. "Sometimes a change is the needed. I've always said that I want the best for Hertha Berlin, as Hertha is and always will be my home." The club have confirmed Dardai will remain in charge for the last five games of the season and return as a youth coach after the 2019-20 campaign.